After photographing the Maroon Bells since 3am on this morning (shooting the Milky Way), the nearly full moon began to rise over the Bells, creating a wonderful view from this cascade just above Maroon Lake. 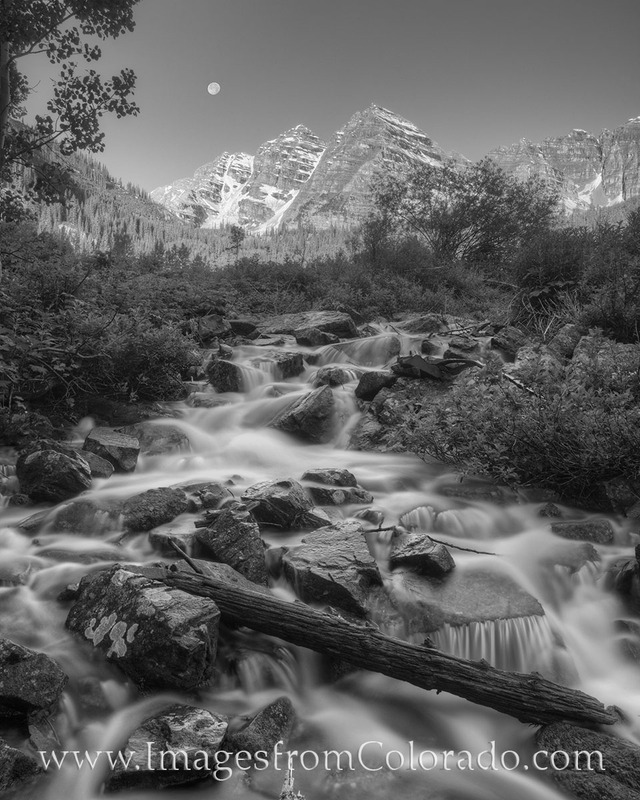 The still air and long exposure gives this black and white image from one of Colorado’s most photographed locations a dreamlike quality. And after being up all night, I was in a dreamlike state, too! This is one of my favorite black and white photographs from Colorado. I actually this in my home office and it can quickly take me to a wonderful morning in the mountains.